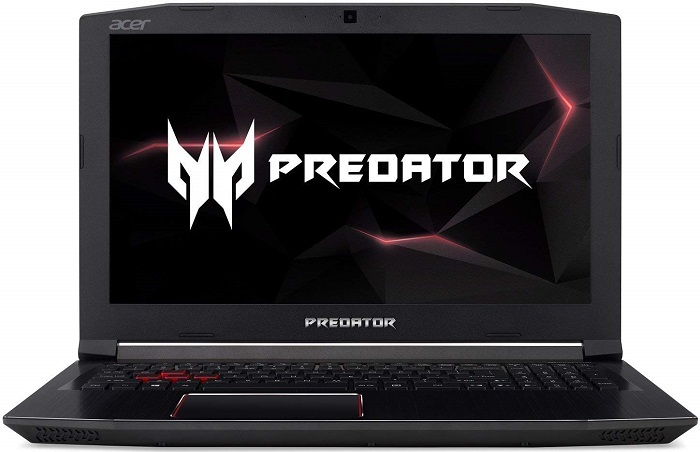 If you are looking for the best gaming laptop which can run heavy games smoothly then let me introduce you to Acer Predator Helios 300. It also upgradeable offering endless capabilities. 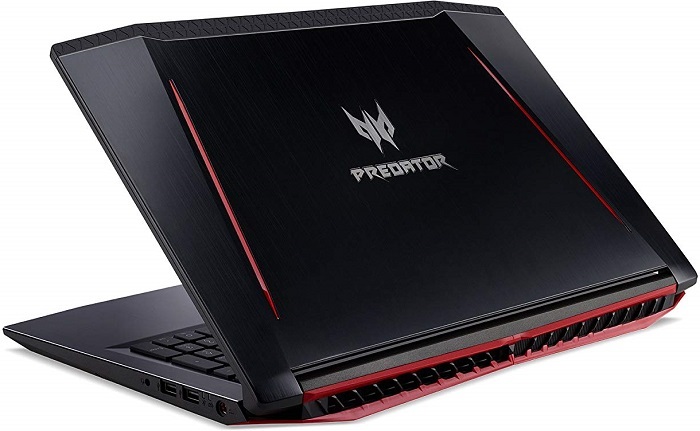 On the top side, Acer Predator Helios 300 designed with a metal chassis in a gun-metal finish, black color with red accents, and geometric cuts and tapered edges. It also comes with hollow lattices at the back side to maintain smooth airflow's. While on the left side there are several ports such as USB 2 ports, audio jack ports, indicator lights and holes for charging. On the right side, there is one USB 3.0 port, USB Type C, HDMI, LAN port, and SD card reader. With the help of backlit keyboard helps you to play games smoothly in a room with minimal light. 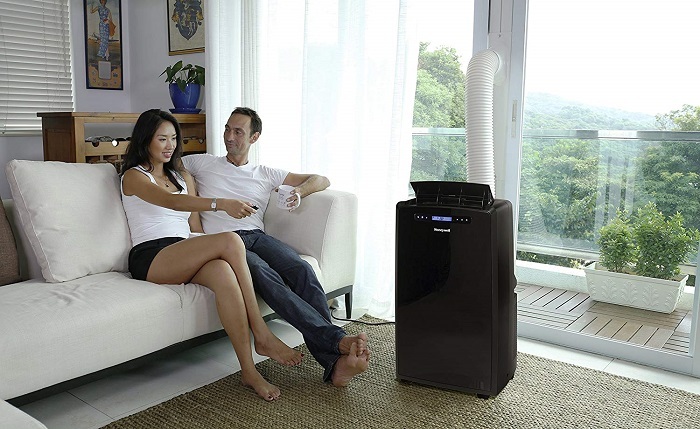 The AeroBlade 3D fan is not too noisy when operating to keeps the laptop stays cool. Another feature offered by Predator Helios 300 is a webcam camera located on top of the screen (good enough for making video calls and conferences), up to twice wireless speed (MIMO), VR supports, and 4X faster data transit speeds thanks to DDR4. When used to play Battlefield 1 (on medium above 30 fps and low 75 fps graphics setting), the game runs smoothly without significant lag even at the extreme level (under 30 fps), the games can still run quite well. 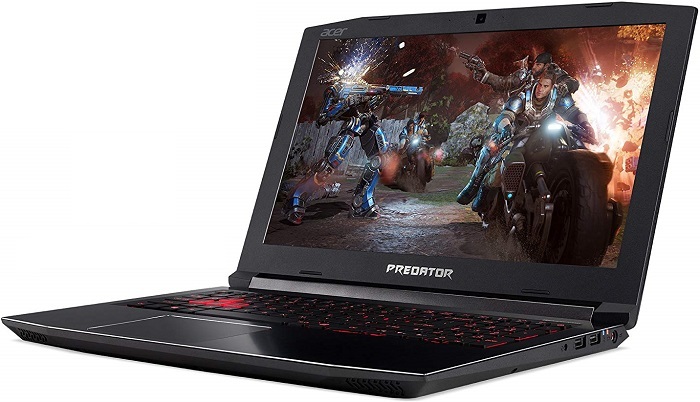 Thanks to the Intel Core i7 7700HQ, Nvidia GeForce GTX 1060 and 16GB DDR4 memory RAM, this gaming laptop can be relied upon to do other heavy computing tasks like editing videos, etc. The audio quality is OK when used for playing games but not so much when the laptop is used to watch movies or play songs. • Bright and colorful display. • Easy to upgrade storage and RAM. • Touchpad and keyboard are superior to other gaming laptops in its class. • Can gets too hot. • No Thunderbolt 3 support. • Below average battery life. • Lid is a fingerprint magnet. • PredatorSense gaming control panel, providing customization and control of gaming features, including system temperature, CPU fan speed and system fan speed. 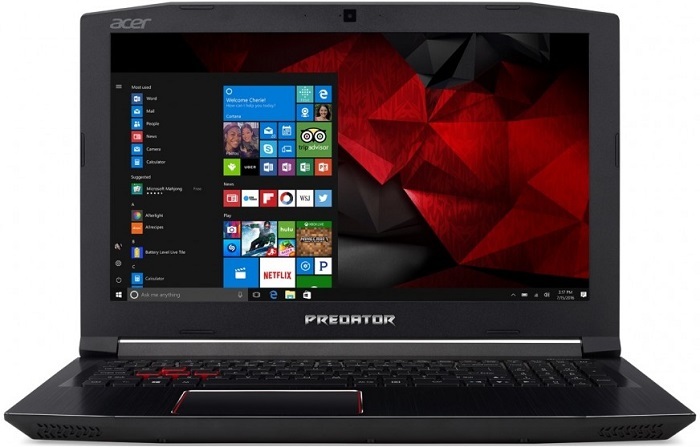 Acer Predator Helios 300 is a powerful gaming laptop with upgradeable opportunity in budget-friendly pricing.